One of the most frequently asked questions about Assault guns is about how their firing Arc works. I thought I would address that here before going into some of my assault gun tactics. A majority of tanks can shoot in any direction. An exception to this rule is the Assault Gun, which can only shoot at an enemy tank if either the entire hull or any part of its hull (excluding protruding gun barrels) is in front of the Assault Gun. Assault Guns can only engage targets completely within its front firing arc of 180-degrees. If any tank is even partially behind this 180-degree firing arc, the Assault Gun cannot shoot at it unless it happens to be directly in front of the tank itself. 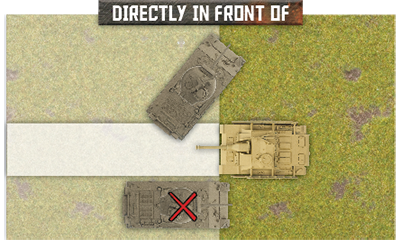 To determine if a tank is directly in front your Assault Gun, draw a line across the front of your Assault Gun, any enemy tanks frontward of this line is considered directly in front of your Assault Gun. 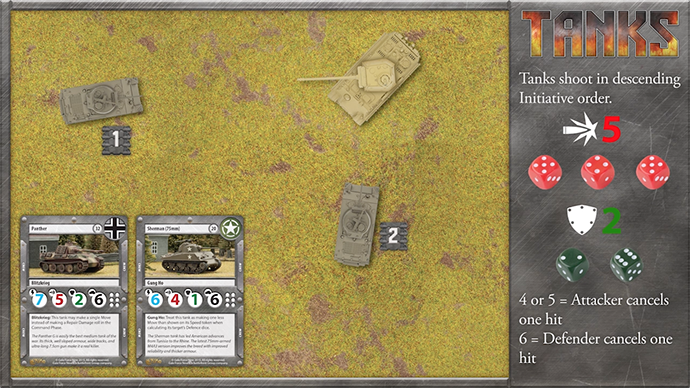 Placement of terrain in the Table set-up phase is important in all games, but when it comes to Assault Guns it is vital. Assault Guns perform best when terrain is positioned to protect their flanks and offers excellent lines of sight. I tend to place my two buildings back near a table edge to create a firing position, and I also tend to set my forest offset of the center of the table, trying to make it easy to fire around and into. I like using the edge of the table or terrain pieces such as buildings to protect my Assault gun’s weaker side armour while maximising their limited firing arc. The best location to utilise this tactic is the corner of the table. 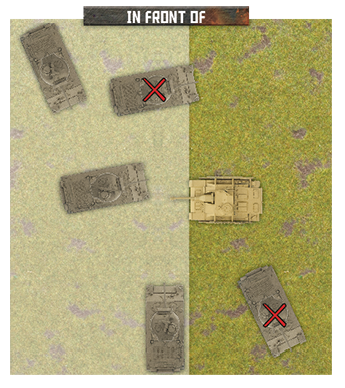 However, this is dependent on the six terrain pieces leaving enough firing lanes to be effective. 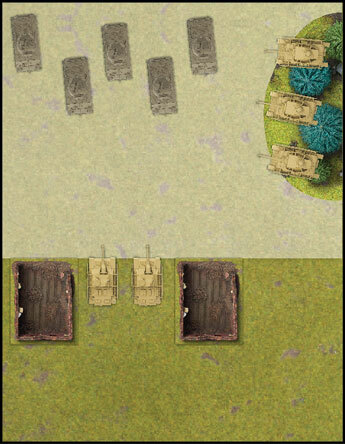 Since terrain cannot be placed within a measuring arrow’s length of another terrain piece or the table edge, you can expect to experience some excellent lines of sight in a majority of your games. I tend to set-up my Assault Guns to provide fire support for my more mobile flanking units. 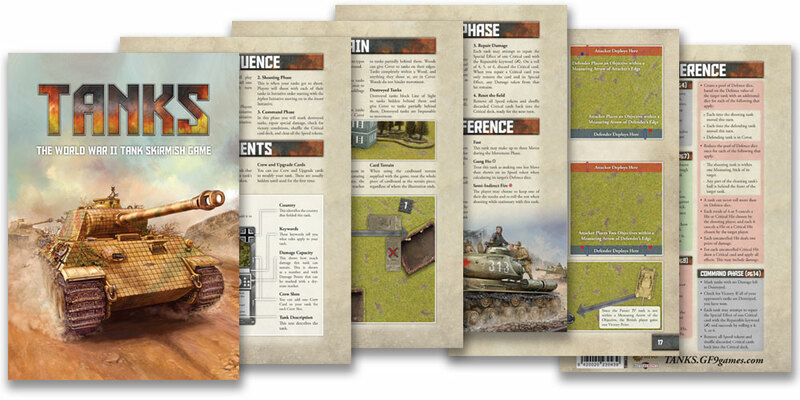 The goal of these flanking units is to manoeuvre into short-range and expose the enemy tanks more vulnerable side armour. For this tactic to succeed, you must keep the enemy tanks within line of sight of your Assault Guns. Set-up is very important as once my Assault Guns are in position; they will remain stationary in order to gain the benefits of re-rolls while not adding to my opponents defence rolls.